Specular reflection of light beams. A surface exhibits specular reflection if the light incident from a single direction is predominantly reflected along a single direction, with the angles of incidence and reflection equal to each other. Smooth metal surfaces, for example, show specular reflection and hence are used for making mirrors. 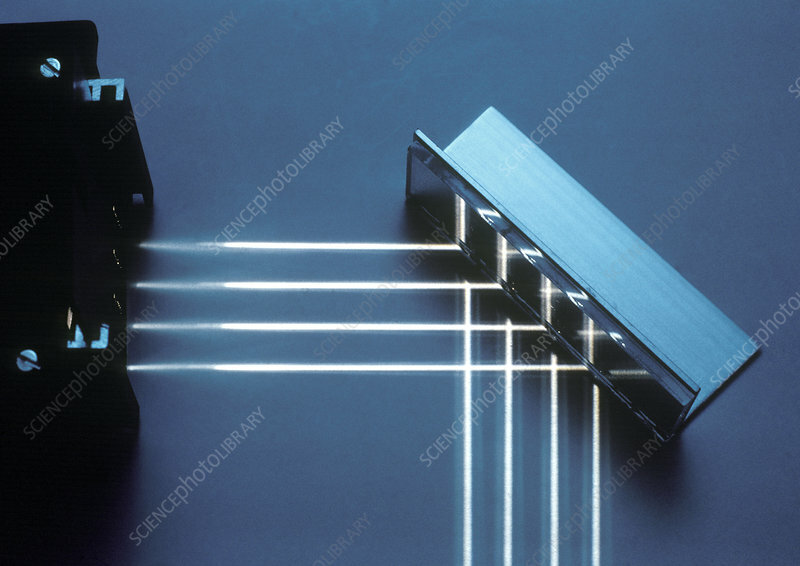 In this photograph three beams of light are specularly reflected at a 90 degrees angle from a mirror.